dcbeatty - Nice work! The fruitbowl is a good start, I think the apple leaf attracts too much attention right now, with the highlight on top and the black shadow underneath. You could probably fill-in the black part of the pear too, and add some reflectivity. The kitchen scenes are nice. The first one is good for a romantic look, although it’s not clear how that much light is coming from a moon that looks dimmer than the table, maybe the moonlight could be toned-down and be warmer and less green as well. The one with the wine bottle made prominant looks a bit like the POV of a drunk, but it also looks very CG. Not just because of the lens flare, but also the contrast, going to black on parts of the ceiling fan and wastebasket, which objects that could look more washed-out in an overexposed scene. Your sci-fi one is nice. I’d like more interactive lighting from the portal onto the set, especially pouring onto the counter and reflected in the sink right near it, and on that cabinet right next to the sink. The murder one is well defined by the camera angle and blood, but I wish there were more shadows, especially on the lights cutting through the counters, and under the fruits. Maybe reflections and highlights would let you get away with more dark areas in the diffuse tones. NAYAK33 - Nice candle scene. I’d love to see more contrast in the table-top, with bright areas illuminated by the flames, and dark areas in the shadows or further away from the flames. Some of the metal parts could also use more lightness and luster. The candle wax seems a little too bright compared to everything else, especially in the mid and lower parts of the candles. Your four script ones are great. The first one is nicely textured, even though I can’t tell which script it’s based on. Second one is a very nice image, a little blocky looking on the right, but the view through the window and the fog are nice. The last one I also can’t tell which script. The texture with the wood slats works OK on top of the table, but the sides of the chairs and cabinets should have a different wood. kanooshka - That’s a very good scene overall. 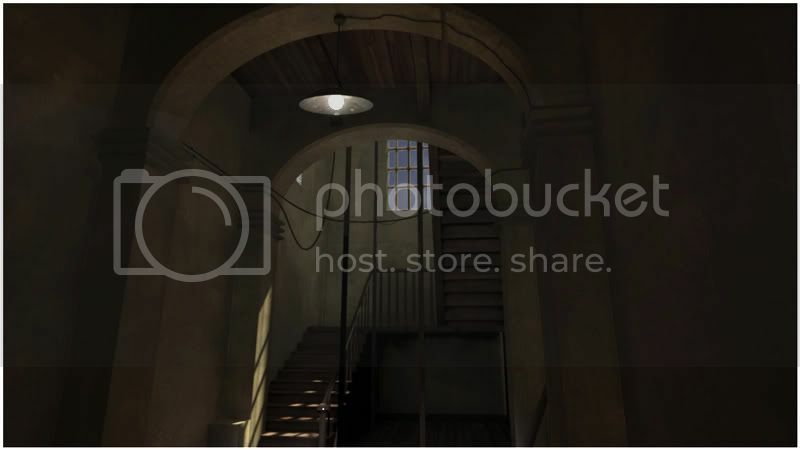 In terms of “big picture” goals, one thing I’d love to see in that challenge is the sense that the scene contains more than one lighting environment. The lighting inside the garage, from overhead flourescent fixtures, is different from the light from the near at the door, and different from the outdoor light in a city at night. Getting different-looking lighting inside the garage, with a different color, intensity, and softness, could really add to the scene, especially since you can see that some of the florescent tubes are turned on. Maybe there could be greenish light, with some spilling out through the doors? The truck looks nice, I’d like to see the front headlights brighter, with reflections in the front bumper of the lights on the ground. The set lights could cast more shadows, on the right side of frame there’s a yellow column that doesn’t appear to shadow the ground. phil-w8 - Welcome! Post your scene before this thread closes at the end of the month. In January a new challenge will be announced, I hope you can try that one. Ok this is my render. I used Maya 8.5, rendered with mental ray. 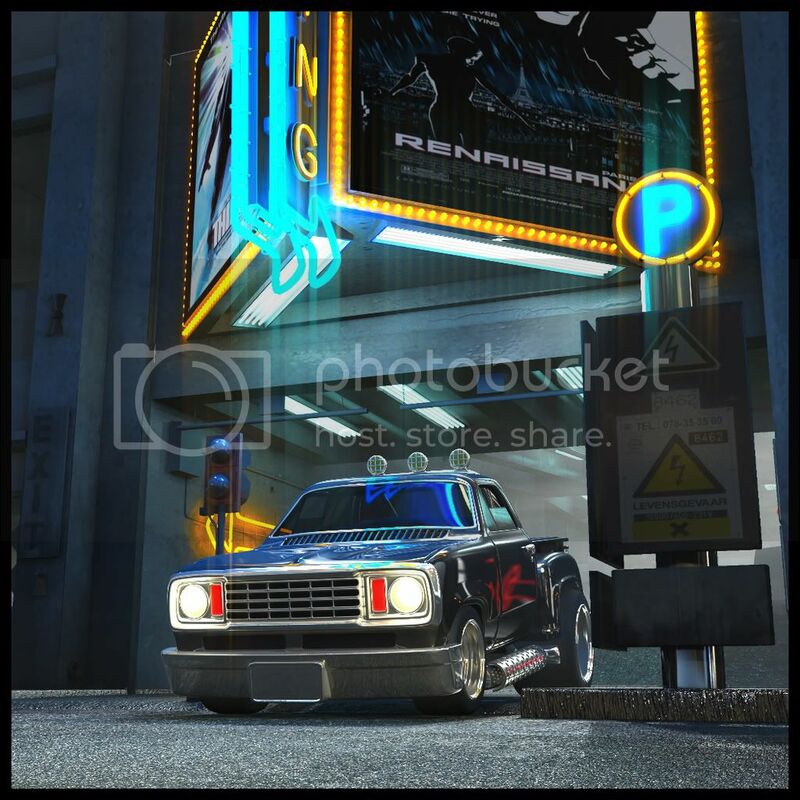 I rendered the fog light alone and the rest of the scene in another rendered and screened them in pho toshop. C & C are most welcome. Here’s my tryout on the following scene. I’m using Maya 8.5, Mental Ray. Rendered the fog light alone and the rest of the scene alone and screened them in Photoshop. C&C are welcome of course. thanks jeremy sir for your feedback.Now i don Under The Boardwalk lighting.I hope you like it. NAYAK33 - Nice scene! The low-polygon rock in the foreground makes it look very videogame-ish, some extra tesselation or displacement would help that. The spiky things appear to be comped in front of all of the grass, even grass that might be behind them. The water surface seems to have shadows on it or some transparency that shouldn’t really be there, try to get rid of any hard lines on the water surface. A little more fill light on the top of the tire would help, but pehaps bring the closer fish into more darkness, just to help keep the 3 fish from looking like twins. I hope you try the new challenge that we’ll start in January. phil-w8 - That’s a great scene! I think you could use a little more soft fill light: a very soft blue glow coming through the windows, but with soft shadows and very soft edge and from more angles than the focused light, and very soft warm illumination from the tree lights. That’ll fill in the black edges near the windows and give nicer shading to the gifts. The glow and reflection from the fire look great, but maybe have a bit too much green in them. I hope you try the new challenge that we’ll start in January. Here is my go at the hallway scene. Texturing in Maya, Rendering in 3delight with points based occlusion and color bleeding. A little color correction added in post. PakosM - Looks good. It seems that there’s a large amount of gray in the scene, with gray patches on most of the fruit. Maybe try a little more color and reflectivity in the fruit, and give your key light a warmer color to contrast with the cool fill color? phil-w8 - The moon light is fine. Think of that as the key, and the soft illumination from the sky as the fill. You just need to add the fill light through the window, not take away the key. gashworm - Nice job! If I were trying to add interest to the scene, I’d make it more clear that the light from the hanging lamp was hitting the walls, with a shadow of the lampshade visible at about the height of the lamp. A little specularity could help break-up some of the surfaces, too. sumitchanda2009 - Welcome! If you’re having trouble getting an image to display, try posting it to a photo sharing site such as http://imageshack.us/ and adding a link to the .jpg file with the insert image function. Once you have a more established account on cgtalk, with more than 4 posts, you’ll also be able to attach images directly to your post, although that results in just a little thumbnail, not a full in-line image the way an image link does. Hi Jeremy, thank you for this opportunity. It’s pity you are closing this thread. Here are some of my tries. It’s very interesting to hear your critics. I’m sorry for posting it alltogether, but well there’s no much time left. [b]This thread will be locked on January 5, 2009. Nice work on the fruit scenes. I think the curtains in your kitchen scenes could use more translucency, so they really look like back-lit fabric. Underwater looks good. Really when you’re underwater and look up at the water surface, the surface is mostly reflective: You can only see-through to above the water in a tiny area called Snell’s Window. Good work on the eyes overall. That edge between the eye and the eyelid is tricky. There’s a black edge now that looks like a refraction problem, try to get that transition to look organic and wet. Between the eyeball and the tear duct in the corner there shouldn’t be any line at all, it’s just a soft transition there. Eyelids and eyelashes also should block parts of the reflections near the upper lid. The candle scene is a good start but could use another version: the shadows don’t all seem to be coming from the flame, especially the rectangle above the picture frame. The wall on the right looks too bright to me, especially lower down near the edge of the table. The front of the table also looks a little too bright, especially on the right where it’s brighter on the front than on the top. The reflection of the plate with the incense looks brighter than the bottom of the plate itself, making that area too bright. The candle wax might be a little less reflective as well. Great constructive feedback Jeremy, thank you! I agree on everything. I knew something wrong with my water scene, I guess I will need to read the dedicated thread to improve the water look. The same with candles scene, this shadow looks unmotivated. And eyelids perhaps need occlusion pass. Hello, here is my try at the fruit bowl. I just noticed this thread is going away? Hopefully I got this in in time! Leotril, nice work. I hope Jeremy doesn’t mind other’s comments. I think your borderstones have too heavy bump for water streaks, and maybe the asphalt could be a bit darker and you could make some variation, like pools of water or cracks, especially considering you made water streaks on the borderstones. I like the rest, those soft gradations of lighting on different planes, and textures are good. And nice work on chrome. Did you use any fakes with lighting or it’s all quite motivated and no cheats were used? Hi Jeremy. I appreciated you comments and made another pass at the fruit challenge hoping for some improvements based on your thoughts. I would have redone them all, but moved on to complete the museum challenge. earwax - Welcome! That’s a pretty good start on the fruit bowl. I think the light is too frontal (like a camera flash) and you’d get better definition if you moved it to the side more. 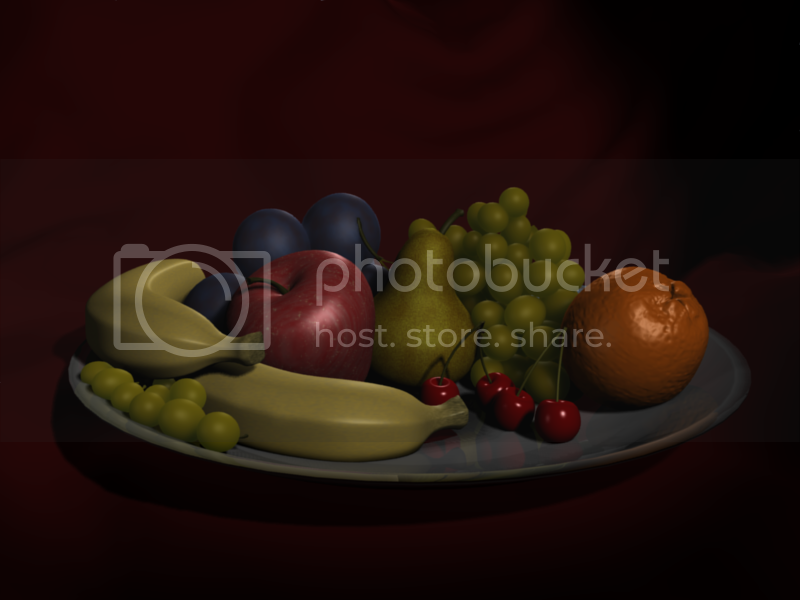 It seems as if you could use some fill or bounce light, just to fix the parts of the fruit that are going black. I hope you’ll try the new challenge that starts on Friday. Leotril - Still good. Still need more illumination from the flourescent tubes into their own lampshades. You need illumination from the headlights on the street in front of the truck, really that area of the street is already bright enough, you just need to give it the shape of the headlight throw. I agree with mister3d that the grooves on the curb are a bit deep. It seems as if the curb on the left side is missing, too? I hope you’ll try the new challenge that starts on Friday. dcbeatty - The first fruit bowl is pretty good, it just needs some fill or bounce light, to fix the parts of the fruit that are going black. In the second one, the window reflection is not very realistic, maybe you could position the window at the same place that your brightest lights and highlights are coming from, so it would be in the middle of the highlights? The bounce light seems too bright on the banana, but there is no bounce light on the apple or under the apple leaf. I hope you’ll try the new challenge that starts on Friday. Wow, over 1000 posts in this thread! Congratulations to everyone who posted work here. As planned, I am closing this thread now. A new challenge starts at the end of this week, I hope you can try that. Later on, we will also have focused flashback threads that use some of the old challenge scenes as well. With focused flashbacks, I hope more of the community spirit that exists in the launch of new challenges will also be brought to an older challenge scene. See you in other threads!